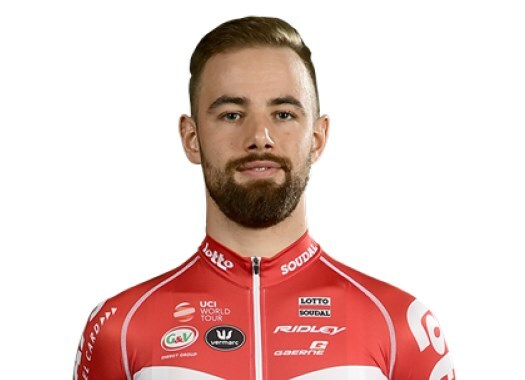 The time has come for Victor Campenaerts (Lotto-Soudal) for the hour record attempt. The rider is already for some time in México, where will he will try to beat Bradley Wiggins' record. The Belgian rider is ready for this challenge. "The moment of truth is getting closer," he wrote from Mexico. "My body is totally ready for it. Mentally, I am pretty relaxed due to the perfect preparation. My schedule is minutely planned. Meanwhile, my body has completely adapted to the special biorhythm: getting up at 5 o’clock and going to sleep at 20 o’clock is very easy now. "During the past few days, a number of people have arrived in Mexico: Valérie from Lotto Soudal, Toon from Ridley, Wim from Energy Lab, Gert from Golazo; they are all people I know well, which makes it nice to have them with me. The Belgian journalists have also arrived; of course, they are familiar with cycling, making the cooperation run fluently. My father arrived on Sunday, together with some friends. During almost all my top performances, he is present or he was in the team car. So he wanted to be here too. By the way, he even made a song about the attempt, called 'Full Gazz' and here in Mexico, we made some images to integrate into the video clip. I think the song is catchy and it is in everyone’s head." Campenaerts will make his attempt between the 16th and the 17th of April in Aguascalientes, México. "I also noticed the hashtag ‘Victor2VictorY’, I think it is nicely done! For example, Ridley has replaced the ‘Y’ on the frames in Paris-Roubaix with a moustache. "Obviously, it is pleasant to see that the Hour Record attempt attracts so much. One day left before it begins. I am ready for it."